#1: Create a Reflection schedule. Make time for weekly, scheduled time-blocks where you intentionally think about your week. Listen or watch the episode to learn the questions you should ask yourself and the practices I recommend. #2. Feel the win. Relive it, feel it, and integrate it – that’s the secret formula. I walk you through gaining more strength from this process in the full episode. #3. 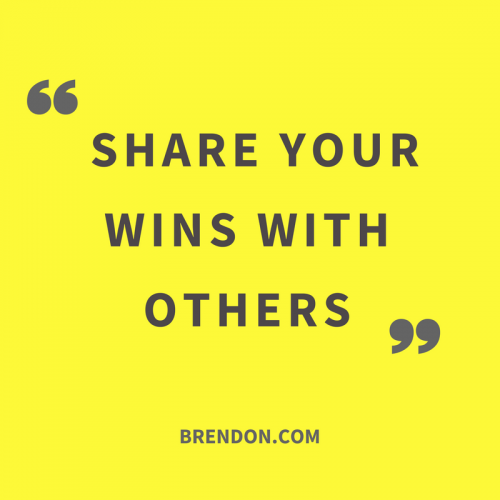 Share the win with others. Telling other people what you’re proud of and what you’ve accomplished is the marker of an authentic relationship. 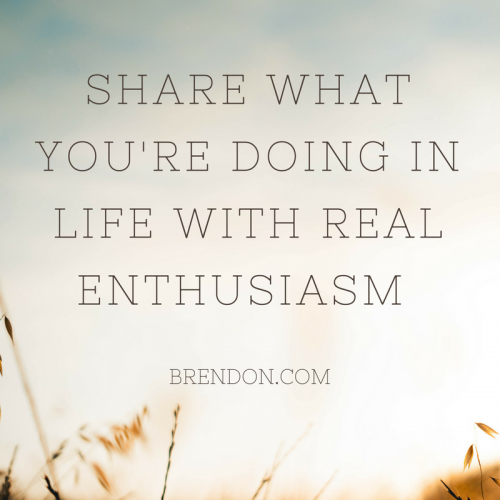 Share what you’re doing in your life with real enthusiasm. Just listen to the episode and you’ll get that burst, trust me. Please hit the like button on this page! Pretty please? My blog, videos and podcast are ad-free ONLY because you share my work! That’s right – I self-fund this entire blog and my show and podcast only because you share my work. So thank you, and let’s keep this ad-free! Celebrating your wins is all celebrating the small steps, the initial steps, towards achieving your goals and knowing why that’s so important. Let’s be honest right off the bat. Sometimes you don’t do that and that’s why you need to watch this video. You and I both know that there’s also so many days that you actually do a good job. You go out in the world. You knock off your to-do lists. You do two or three things that stretch or push you. You add some creativity and flare to the world and you feel like you did a good job today. Maybe you have a glass of wine and celebrate, or you eat your favorite food or you take a walk and you brag with your friends. Whatever it is for you, at the end of the day you feel pretty good about yourself, but there’s also plenty of days where you actually do the same thing, achieve those to-dos, make an impact, but then at the end of the day, you just go to bed and you don’t really notice that you’ve achieved something. Here’s what this is about and why this is so important. So many people deserve to feel so much better about themselves. They deserve to feel stronger, and more capable, and more confident, but they don’t because they’re waiting for the big, huge win before they ever allow that win to be integrated in their identity. They might win a couple games, but they didn’t win the championship, so they never let themselves feel like a winner. They do a good job a couple days at work, but no one said, “Great job,” and no one gave them a raise. They don’t feel it because they’re not allowing themselves to feel the wins, but we know from psychology and we know from goal attainment theory, that unless you’re starting with those small steps and giving yourself credit for them, the odds are you’re not going to go on to the next steps that are bigger, and bigger, and bigger. That’s because your identity is still at the beginning stage. If you always feel like the beginner at something and you never feel the competency gains that comes from accomplishing and moving forward, but giving yourself credit for it, you’re not likely to take on the bigger things in life. So check yourself on this one. When’s the last time you really gave yourself credit? When’s the last time you really celebrated just a small, little thing? Comment below. What did you do? What was the achievement, or what was the step you took and how did you celebrate? Did you go out to dinner? Did you tell your spouse about it? Did you write in your journal about it? Did you put something up and frame it? What did you do to celebrate your win? Are you in a transition in your life right now? your career is changing or you want it to change, or your relationships are in transition, or you’re in a health transition. You’re trying to get healthier. Those little steps you’re taking: are you celebrating them? Well, here’s three ways that may help you think through it and do it more often. What did I do well this week? What went well this week? What good things happened that I didn’t even anticipate? How can I feel good about something that happened this week? What could I notice that happened that brought me joy, or brought me fulfillment, or brought a sense of accomplishment, or even just made me feel more connected? You need to have that weekly scheduled reflection time. It’s one of the most important parts of the confidence that I’ve gained in my own life, because I wasn’t a super confident kid. I kind of had to fake my way into it by revving myself up and doing a lot of “Rah, rah” stuff, but we all know that that’s just a band-aid. At some point. we have to integrate our accomplishments and achievements into our identity if we’re going to feel stronger. So, when’s your time going to be? For me, it’s every Sunday night. Every Sunday night, I look back at the previous week and I ask myself about ten questions. Even if it was just a little tiny thing, like sending an email or making a call, what small steps did I make this week that are going to make me better next week? What small steps did I take this week that will help me continue climbing the mountain towards my highest ideals? What small steps did I take that I can celebrate? If I don’t ask that question every Sunday, it just doesn’t happen. So, please, start reflection practice every week. #2. Feel the win. Allow yourself to actually feel the win. A lot of people will journal and they’ll write down a list, and the reflection schedule becomes a to-do list for them. You have to relive it, and feel it, and integrate it. That is how to generate confidence for you. So when you’re doing your reflection schedule, think about something great you did that day, a small step you took that day, and then just allow that heart-felt, that deep connection to satisfaction or engagement, that comes with recognizing yourself. A lot of people take selfies all day, but they really don’t know who they are, and that happens because they’re not connecting with the feelings of life. They’re all surface- level all the time. Click, take a picture. Picture, selfie, selfie, selfie. They’re demonstrating something to the world but they don’t even understand their internal world. 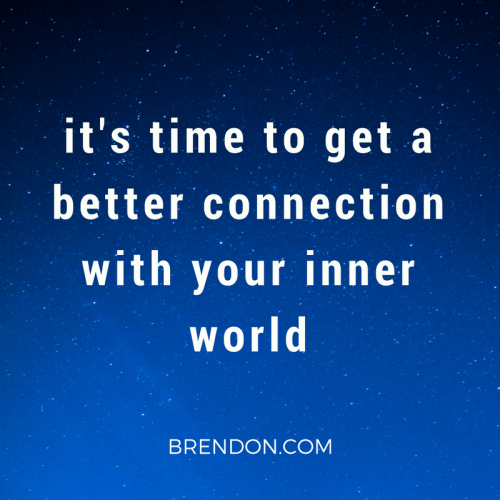 It’s your time to get a better connection with your internal world. One way to do that is to allow yourself to feel those small, little steps and wins. Literally feel it. For example, right now, we’re live on Instagram as I’m filming this. I have no idea how that’s going. At the end of the day, I’ll say to myself “We went live on Instagram. How cool is that?” Even if it was a total disaster and people call me horrible names, I’ll acknowledge that we did it! It’s all about the little steps. I’ll allow myself to feel it. You’ve never met a kid who celebrates the dumbest little things like me. If you’re ever around my wife or my family, we’re so easily amused. We take so much joy in the smallest things and I think that’s what spurs on that curiosity and later that confidence in life. So allow yourself to really feel it. 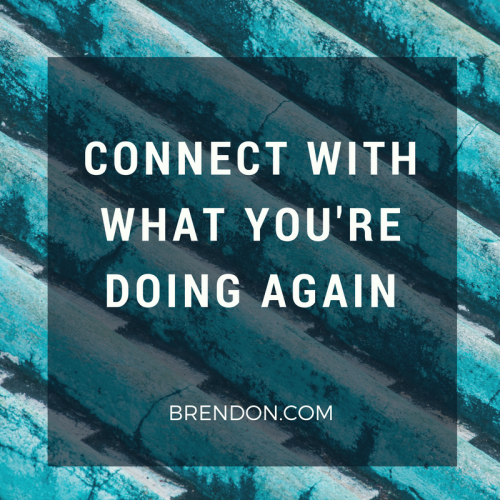 Connect with what you’re doing again. A lot of people have a job they don’t love and they start disconnecting their feelings. A lot of people are in a relationship that maybe isn’t as fulfilling as they had hoped to be at this stage of their life, so they disconnect. Anytime a feeling comes up or we’re unsure of what to do, we turn to our phone so we can disconnect or we turn on Netflix so we can disconnect. Reaching that next level of enjoyment in life is about reengaging, reconnecting, allowing the feeling to come back in again. #3. Share them. I think my last big idea for you here on celebrating the small wins so you grow stronger is to share them. I cannot believe how many people, who are amazing and don’t take time to celebrate their wins. They don’t think it’s a big deal. I want you to learn to share what you’re doing in your life with real enthusiasm. That’s how you’re really sharing the wins. That’s how you’re feeling the wins. That’s how you’re celebrating the wins. Share it with enthusiasm. Many of y’all know I’ve been blessed to work with Paulo Coelho. He wrote the book called “The Alchemist,” and eleven other international mega best sellers. Paulo has over twenty million fans on Facebook, and is just one of the great writers of our time. One of the things I remember him telling me is that, what he loves about Americans and about the United States is that you’re allowed to celebrate successes with other people.You’re allowed to celebrate those successes with other people and not look like you’re bragging or overly proud. I know that’s not the same for all cultures around the world, but cultures around the world need to catch up with that truth, which is that , sometimes, in sharing what we’re doing with enthusiasm, we feel better about life. We feel more engaged with you. If I can’t celebrate my wins with you, if I have to minimize myself around you all the time, that’s not a real relationship. That’s lying. If you’re not telling other people what you’re proud of in your life, what you’ve accomplished, and what you’ve achieved, not so that you can brag, but to share your real life, then you’re not playing the game of life really well. You’re so scared of other peoples’ judgements. 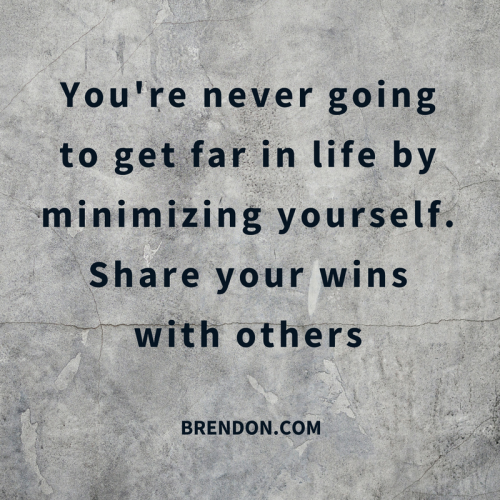 You’re never going to get far in life by minimizing yourself. Take pride and joy in what you’ve accomplished since you’ve, share with enthusiasm. Be more enthusiastic about your life. Share what you’re doing. Share those to-do lists you’re checking off. Share those accomplishments and the achievements and you’ll feel so much more connected with your life, which you deserve to be. It’s time to celebrate the small wins. Set up your schedule. Remember to feel it and then to share it. Now, suddenly, celebrating those small wins becomes part of your practice. You feel your life turn back on and you’ll notice every single day that you’re more likely to try the harder things because you celebrated the smaller things.